I grew up in the RV business working in Sales, Service and Finance. 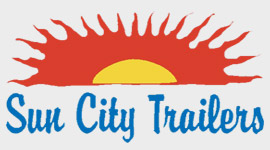 My wife Eileen and I started Sun City Trailers in 2002 to continue on the tradition of providing superior service and selling a lifestyle, not just a trailer. We sell the highest quality Travel Trailer, Fifth Wheel and Tent Trailer products in the nation. The manufacturers are: nucamp RV-(T@B, T@G & 400) Forest River-(Rpod, Cardinal, Wildcat, Rockwood, Geopro & Wolfpup). We partner with Finance and Insurance companies to make a one-stop shopping experience for you.